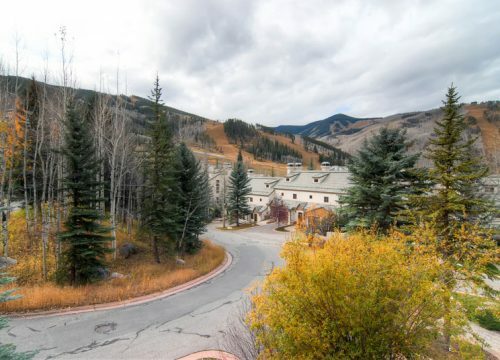 Take in the spectacular views of Beaver Creek Mountain while lounging in the main living areas of this multi-level townhome. 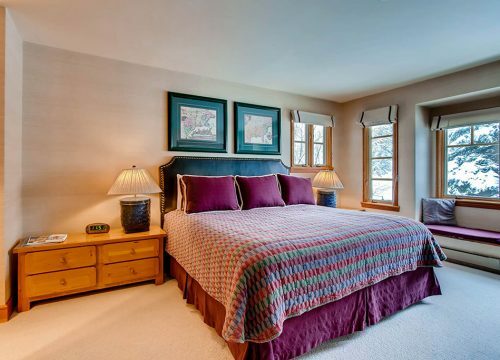 Enjoy the on-mountain location with just a short walk to Beaver Creek Village, making this the ideal location for your ski vacation. This unit is one of the best values in the Highlands area.The living areas feature a spacious open interconnected kitchen, dining, and living areas with picture windows and vaulted ceiling in living room. The deck is adjoining the living room area with a gas grill and scenic views of Strawberry Park slopes. 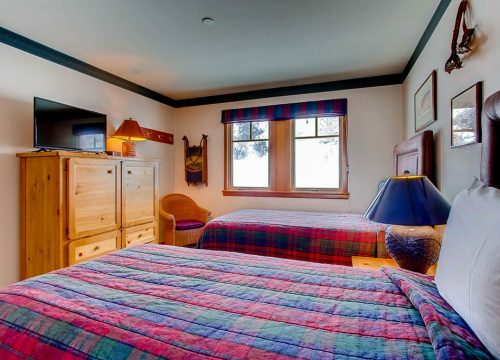 Accommodations include WiFI, TV/DVD/Stereo, 8 person dining table with additional seating for 3 at the bar area, 4 person game table in the living room and a wood burning fireplace . 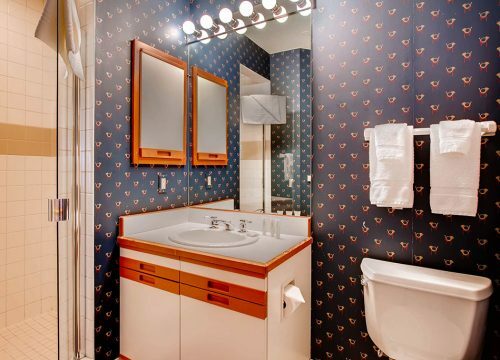 There is also an ensuite Washer/dryer. The master suite feature king-sized bed, full en suite bathroom. The second bedroom has a queen bed with en suite bathroom. 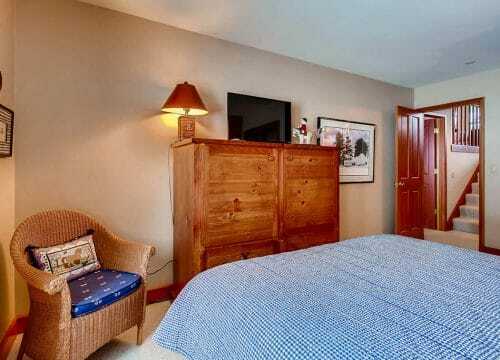 The third bedroom has two twin beds with full bath en-suite. 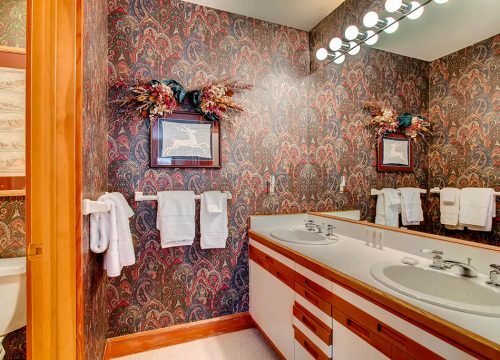 The den has a sleeper sofa with full bath plus there is an additional half-bath adjacent to the kitchen. Sleeps up to eight people. 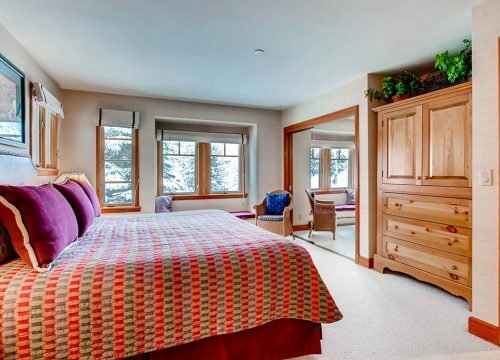 If you prefer the added privacy and spaciousness of a townhome, this unit in the Highlands area of Beaver Creek offers an ideal location, just above the ski lifts and a short five to 10 minute walk to the shops and restaurants of Beaver Creek village. 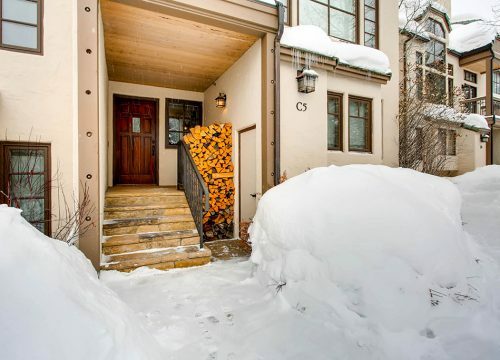 You’ll enjoy beautiful views of the ski slopes from a spacious living room with dramatic vaulted ceilings and cozy fireplaces. Families and larger groups will appreciate the extra privacy of multi-level floor plans. Shared hot tubs dot the property among every two or three buildings. The distance to slope access varies with each home. 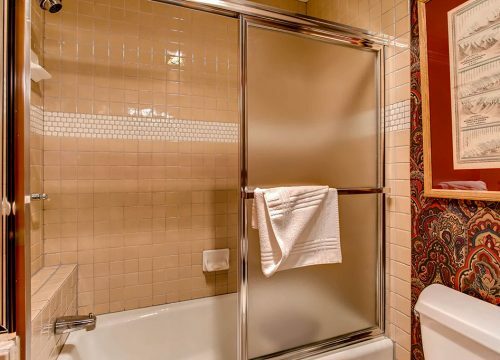 This townhome features on-site parking, a private deck, fireplace, washer and dryer as well as complimentary wireless Internet and access to the resort swimming pool and hot tubs. Please note that there is no air conditioning in this vacation residence unless noted. Guests enjoy full concierge services.